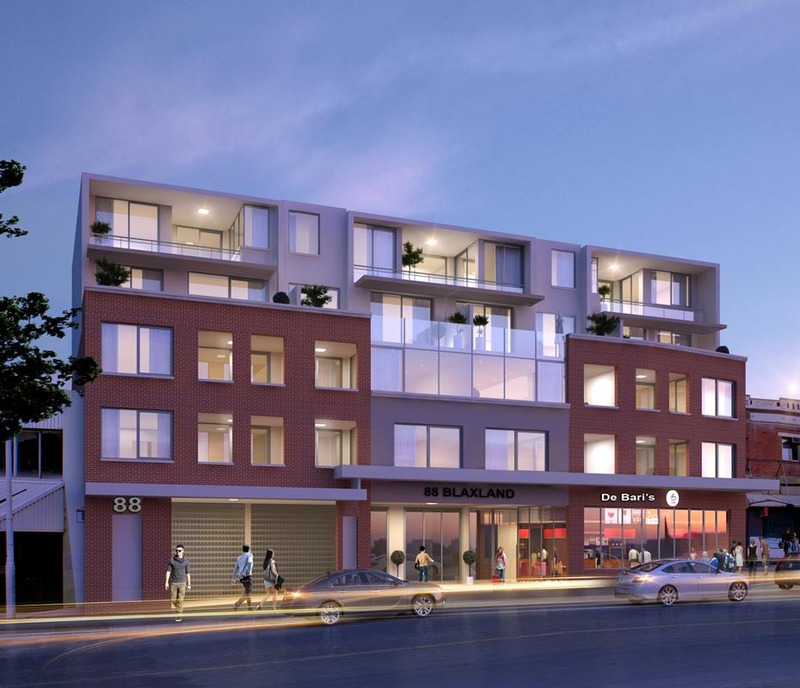 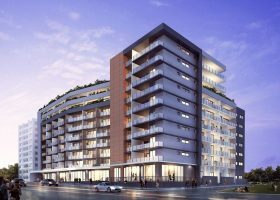 This contemporary, quality boutique development is currently under construction and comprises 24 residential apartments – ranging from 1 to 3 bedrooms – and 3 retail shops. 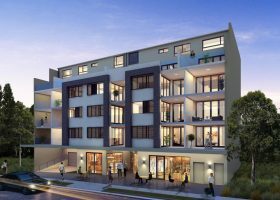 Located directly across from Top Ryde Shopping centre, the apartments offer premium quality finishes throughout and designer kitchens with European stainless appliances. 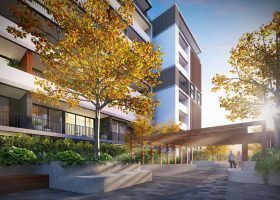 Open living spaces flow out onto northerly sundrenched alfresco terraces and the units feature expansive bathrooms, lavish bedrooms and reverse cycle air conditioning.